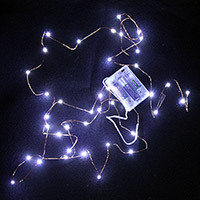 The Flashglow EL Wire is one of the brightest EL wires. 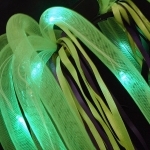 The 6.5 ft. el wire is a thick 3.2mm diameter for a greater glow area while remaining bendable and flexible for versatile uses. 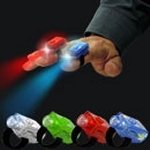 The Flashglow wire has 2 selectable modes: flash and constant on. Like all EL wire, Flashglow emits no heat or radiation, simply gorgeous neon light. Powered by a small 3.5" x 1.25" battery pack that uses 2 replaceable AA batteries (not included). The battery pack includes an integrated belt clip for easy installation for costumes.